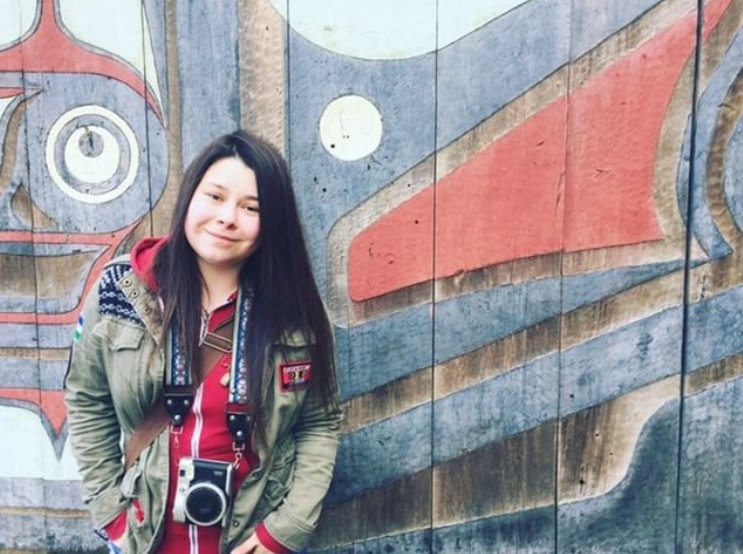 Living in Bellingham Washington, Savannah’s watercolors and illustrations are inspired by the beauty around her and richness of the Indigenous Art of the Coastal Tribes. 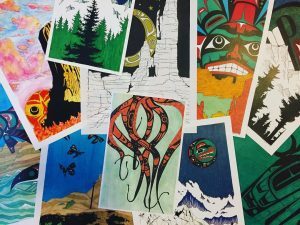 Read on as this talented & engaging Artist responds to questions from Cascadia Underground about her Inspirations, Process and Culture. I do what I do in order to express myself artistically, to stay close to my cultural identity, and to help preserve Native American art, specifically Northwest Coastal formline, for future generations. I also try to provide my community with affordable art that reflects a diverse heritage. 2. Where do you create, and what medium/materials do you use in the process? I usually create at home where all my supplies are easily accessible or at Stones Throw Brewery where I can interact with other members of my community. I use a lot of Copic markers and various multiliners. I also use a lot of watercolors and acrylic paints. 3. 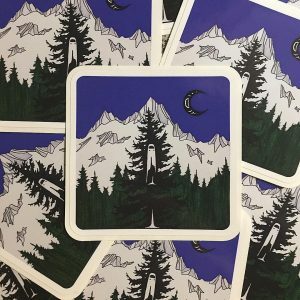 What about life in Cascadia inspires your work? I draw a lot of inspiration from my environment. Most of my work reflects the natural beauty and native animals of the Pacific Northwest. I really don’t know if I would create as much if I lived in another part of the world. There’s something about Cascadia that’s so breathtaking and draws me back to it every time I’m starting a new project. I’m really lucky to have spent my whole life here. 4. What couldn’t you life without in your work as an Artist? Probably my partner. My art was on mostly hold for a long time in my life and I didn’t really pick it back up again until about six years ago. Sure, I’d doodle here and there but I wasn’t creating regularly. My partner is an artist too and his music is incredibly inspiring. With him I feel more creative and I’ve been able to take really important leaps as an artist. I quit my day job, I’ve been creating almost daily for years now, and I make my living solely on visual and theatrical art. He’s been there to support me, to stand by my decisions, and continues to build my confidence. I’d still be an artist without him but I definitely wouldn’t be as good. 5. What Role does the Artist have in Cascadian Society? My role as an artist has been to help preserve the art of my tribes, who were all part of the first people here in Cascadia. I have also strived to make that same art form accessible to everyone, not just Native Americans, and to share that part of my culture. 6.What about life has influence your work the most? My Native American heritage and the nature that surrounds me. The Coastal tribes have a beautiful art form that I never get tired of working in. And I live in a place surrounded by mountains, trees, and the ocean all of which influence my work regularly. 7. What’s your Favorite Artwork of your own & generally? There’s a piece I made called “Fleeting,” it’s the silhouette of a fox with trees, mountains, and the setting sun as its make up. That is currently my favorite piece of art that I’ve made. I love to see art that features the pacific northwest and the styles of other Coastal tribes.